1. Take your time to say “congratulation to me”! Yes, you have finally made it and this thing clearly reflects that you have what it takes to be. Wishing yourself on the success will help you gain enough mental strength for the upcoming journey. So, relax and get ready. 2. Before joining your new company, do some research about it. This will be immensely helpful for getting through your very first days. Have a deep look at the company profile and try to learn as much as possible about it. 3. Get in touch with the HR personnel or your would-be supervisor at least before a couple of days of your joining. It can be either a phone conversation or a face-to-face meeting. But the matter of your discussion should be your new job role and responsibilities. This first step of preparation will cut down your nervousness greatly. 4. Once you are introduced to your new co-workers, follow an effective approach to create robust work relationships with them. Make sure that you meet the maximum number of people at the workplace. It will help you stay updated about the company always. 5. You should identify with your duties and be geared up to meet the expectation of your manager. However, if you feel that you are yet to understand the operation of the organization fully, try to talk to some of your colleagues. Their point of views about the office as well as the job will help you get mental strength to some extent. 6. Be inquisitive. It is one of the best ways to get rid of new job jitters. The more you stay quiet, the more you feel nervous. Hence, open up and ask questions. Supervisors do not like someone who ‘knows each and everything’ right from the start. Even your colleagues will also dislike it. But the moment you will begin to seek their help, they will also put their efforts in making you feel comfortable. 7. Try to take part in every single event of the company by your own initiative. It will not only help you learn about your organization more, but you will get noticed as well as appreciated for your active participation. In other words, your eagerness to learn will help you go through those first days in office successfully. 8. 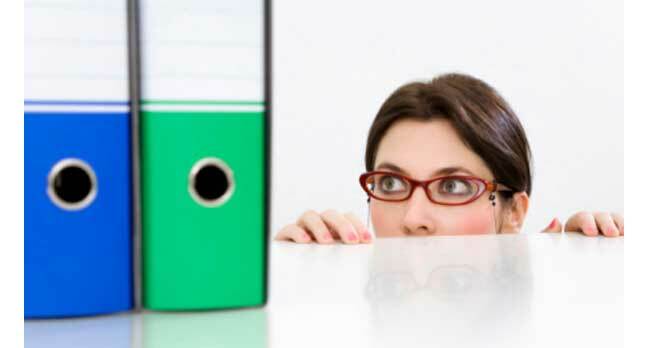 Another great way to fight your uneasiness is to ask for feedback from the supervisor. If you do not work on your weak points or utilize your strengths, you will never be able to overcome that discomfort. Hence, try to rectify yourself as per the needs of your company. 9. Your opinion counts. Just because you are new to the company, you should not stay quiet. Express your suggestions as well as ideas about the progress and development of the company and let others know that you care. It will ease out the situation much. 10. Never ever promise yourself that you will know everything about your organization and learn all about your job responsibilities on the day one. It will end up making you more anxious. Rather, give yourself sufficient time to become skilled at your tasks. Set attainable short-term goals and struggle to achieve those from the day of joining. You will definitely feel more confident.